In our electric indoor grill reviews we will help you find the best indoor grill for your situation. Indoor grills come in a variety of different forms. Most people think of grilling meat when it comes to indoor grilling and that is what they are most used for in general. But there is more than that you can grill on an smokeless electric indoor grill. The variety of these grills we looked at in our electric indoor grill reviews, makes it possible to grill almost anything like we do on an outdoor grill. The nature of about all these grills is that they are electric indoor grills, because gas or charcoal are not to be used inside. The first indoor grill reviews we have started are from Cuisinart. You can read all the reviews by clicking on this link. We reviewed the following Cuisinart indoor grills for you and you can jump to the review right away. We started on our De’Longhi indoor grill review with the 3 most sold and highest rated models. Although sometimes most sold is not highest rated we fond out. Have a look at the page where you can choose a model and than read the whole review on its own page to decide if this is the grill or griddle you need for your kind of healthy cooking. 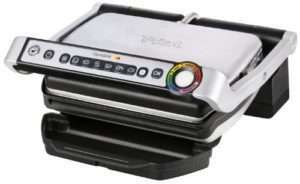 You can read all the Delonghi indoor grill reviews by clicking on this link. We reviewed the following Delonghi indoor grills for you and you can jump to the review right away. We could not let the popular George Foreman grills out our indoor grill reviews of course. The popularity and many users of these grills made us have a look at the top 5 models and have a good look at them to see if they deserve there reputation. We have reviewed the following George foreman grill for you. After doing the review of this T-fal indoor electric grill we are very impressed with the performance and the many programmed options these two grills have. There is of course also the manual option to use. The two sizes make it easy to choose the one that will fit your kitchen and budget. If we can make one recommendation after doing all the indoor grill reviews it would be this one. We had to pick a few models to start with in our indoor grill reviews of the Hamilton Beach brand and decided on the three you find below. The Hamilton Beach company has a lot of nice indoor grills and we might add more in the future. You can have a look at the ones we did and let us know if you would like one added to the list. You can also tell us about your experience with the Hamilton Beach electric grills you use and add this to our page to inform our readers even more. 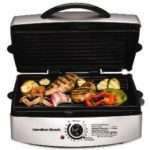 You can read all the Hamilton Beach Indoor electric grill reviews here. There is only one Philips indoor grill we reviewed up to now. We looked at the Zojirushi brand and although not very well known there indoor grills got some high ratings. We reviewed the Zojirushi EB CC15 and with its 1300 Watts if performs very good. We are in the process of doing some Presto Cool touch indoor electric griddle reviews and to be honest are pretty impressed with the quality compared to the price of these griddle. But there are more on our list. Maybe not as well known as some of the major brands this is still a brand that is used by many people because of the affordable price and durability. We looked at the 5 top selling models including all the ones with the ceramic non stick coating that we all love so much. 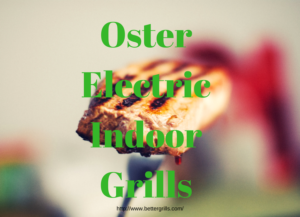 Have a look at the Oster indoor grills we reviewed. The cost of running any electric grill are in most cases very low, but it mainly depends on the average price for residential electricity in your area. The way to calculate the cost is to start with finding how much Watts your electric grill (or any other electric appliance) is. This can be found in most cases on the model number plate at the bottom. If not than it should be in your manual. Your electric company charges you Kilowatt/Hours. This means that if you grill is 1000 Watt this is one kilowatt. The average price of electricity is around 12 cents. A 1000 watts electric grill would cost you about 12 cent per hour. It is actually less because the heating element does not run continuously but cycles on and of. You can see that it is very cheap and economical to use the indoor grills we reviewed here on this website. We have started on our grills for indoors in this indoor grill reviews page. 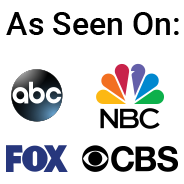 If you would like us to review a indoor grill brand or model just let us know and we will put it on our to do list. We have place links to Amazon to the indoor grills, griddles and grill pans we think about reviewing next. Cooking indoors on a electric grill is different than on an outdoor gas or charcoal grill. By being indoors we have to take some safety measures in consideration. Electric grill can get very hot and are because of that a safety and fire hazard. If you read the news there are numerous fires caused by indoor grilling. By just following a few easy steps we try to add some safety tips on our indoor grill reviews and it is no problem using an indoor electric grill. One thing is extreme important if you have smaller children and that is to make sure they can not reach the cord and pull the grill of the counter-top. It is my recommendation and the one from any fire brigade to have a fire extinguisher in your kitchen at all times, but in particular when you use an indoor grill. It also can come in handy with grilling outdoors. I hope that our indoor grill reviews will help you find the brand or model you need to cook and grill some great food on it. Indoor grilling is so cool! We like the T-fal GC702 OptiGrill because of its unusual features such as adjusting its grilling cycles based on the thickness of the meat. Also has built in programs for cooking certain foods and indicator lights for rare, medium and well done.